Surveon Technology aims to be the trusted megapixel IP video solution provider for our security partners. This commitment is demonstrated by our end-to-end IP solution lineup--including video storage, video recorders, video management software, and industrial-grade network cameras--which is completely designed and manufactured in-house to meet the changing and challenging demands of security integrators. Surveon offers a full line of box, bullet, dome, PTZ and speed-dome cameras with resolutions ranging from D1 to megapixel, including advanced day/night, WDR, wide-temperature and weatherproof IP66 models. All cameras are designed and manufactured in-house with industrial-grade components, and backed with our 3-year warranty. Optimizations in optical engineering-in both image processing and codec integration-provide Surveon network cameras with ideal image clarity and low light sensitivity. Advanced components such as day/night ICRs, IR LEDs, WDR and low-light image sensors, and ISP controls ensure the cameras suitability for various color and lighting combinations. Surveon designs professional cameras based on in-depth experience from CCTV engineering, providing our security partners an upgrade path to IP surveillance without compromises from the quality and reliability of CCTV solutions. The highly integrated CCTV-type designs also ensure stable operation in diverse environments with both indoor and outdoor, vandal resistant, weatherproof and wide temperature range support. A network camera's performance and reliability rests on its runtime firmware. With 20 years proven capability in network embedded equipment design, Surveon cameras provide stable video streams with zero frame loss, minimized delay, and reliable 24/7/365 operation. All Surveon network cameras support real-time VI with the Surveon VI Suite, featuring functions such as foreign and missing object detection, forbidden area, intrusion detection and camera tampering detection. These real-time video analytics help increase the situational awareness of monitoring personnel, and increase surveillance efficiency. Surveon is committed to meeting and exceeding the exacting quality demands of our security partners. Each Surveon product is designed and manufactured in-house, with proven firmware, circuit, tooling, integration, and validation abilities-as well as ISO9001/14001 certified production capabilities. Surveon offers a full line of megapixel cameras in different segments (Premium, Professional, and Economical Series) to meet the market demands. All cameras are designed and manufactured in-house with industrial-grade components, and backed with our 3-year warranty, featuring advanced ISP, auto focus, P-Iris, WDR, defog, high light compensation, 3D noise reduction, wide temperature and weatherproof IP66. 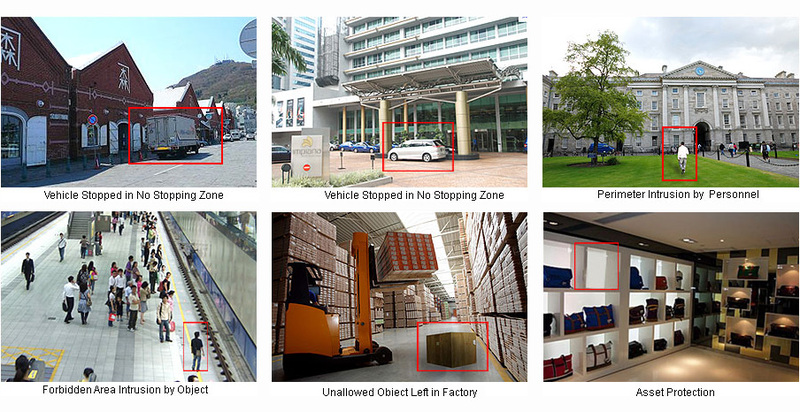 Professional Megapixel Surveillance Projects, Enterprise, Manufacturing, Education, City Surveillance, Transportation, etc. SMB, Residential, Retail, Hotel, Restaurant, etc.